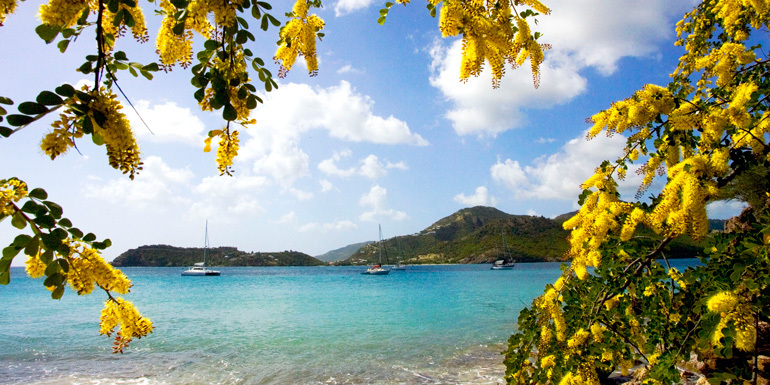 Antigua — pronounced “An-tee-guh” — prides itself on three B’s: beaches, boating, and British heritage. There’s said to be 365 beaches scattered throughout the 14-mile island, one for every day of the year. Hyperbole? Maybe. But strand seeking has never been so much fun in the Caribbean. Antigua’s strong English roots are evident; however, the West Indies flavor shines just as brightly. This means finding great jerk chicken and scone-filled afternoon high tea is a snap. No visit is complete without a dockyard stop to admire the sea of sailing vessels, from mini to mega yachts: It’s a fascinating look at Antigua’s British naval base history. Dip your toes in the sea before heading back to the ship. Breakfast: Public market – Stop by this farmer’s market — just a 10-minute walk from St. John’s cruise port — for a simple morning bite of homemade banana bread and fresh-cut black pineapple, the island’s national fruit. Arrive early while vendors are in full sell mode and discover unusual items like soursop — a citrus-flavored fruit — and dried red sorrel flower, which you can bring home to make a tea that locals use to cure a variety of ailments. 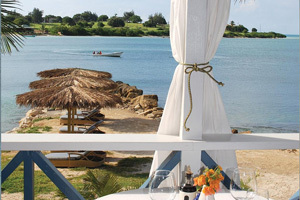 Lunch: Cecilia’s High Point Café – Order the catch of the day at this casual Dutchman’s Bay restaurant. You’ll be serenaded by jazz and soul music while feasting on fresh wahoo carpaccio or pan-fried red fish with rice and beans. And don’t forget your mobile device: The eatery’s free Wi-Fi allows for a cheap email check. Afterward, walk your meal off on the quiet, sandy beach. Tip: Shirley Heights, just east of and 487 feet above English Harbour, is known for its 18th-century ruins and fantastic views of Montserrat and Guadalupe islands. On Sunday afternoons, there’s a barbecue complete with reggae band, but on other days, you can still visit the Lookout bar for a rum punch and a local Wadadli beer and chat with both locals and other tourists. 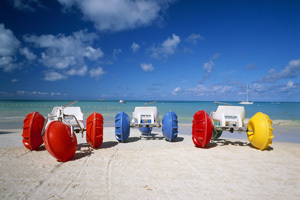 Head to Dickenson Bay for a day of play. For Everyone: Nelson’s Dockyard National Park – Go to see the restored 18th-century buildings; walk around the naval museum, souvenir, and crafts shops; and watch the gleaming yachts bob on the marina named after Horatio Nelson, who was stationed in English Harbour in 1784. Yes, many tourists will be around, but it’s an island must-see. For Couples: Afternoon Tea – Keeping with British tradition, afternoon tea is often served at many of the all-inclusive hotels on the island. You’ll need to buy a day pass (usually $80 per person), which includes all-you-can-eat and drink. Want a less formal, less expensive option? Stop by the historic Dockyard Bakery in Nelson’s Dockyard for made-on-site bread pudding, pineapple or guava turnovers, and freshly brewed mint tea, which you can sip on the patio behind the building. For Families: Dickenson Bay – Take a taxi to this three-quarter-mile crescent beach, where water toys of every sort, from scooters to parasailing equipment, are available for a day in the surf. You’ll find beach chairs for rent, as well as restaurants and bars for all your needs. For the Adventurous: Adventure Antigua’s Xtreme Circumnav – In addition to Antigua’s bounty of beaches, there are plenty of reefs and wrecks to explore. If you haven’t booked a ship-sponsored shore excursion, try this high-speed boat tour, an exhilarating 40 mph ride that includes five snorkel stops, gear, lunch, and copious amounts of post-fun rum punch. Tip: Local currency is East Caribbean (EC) dollars, but generally U.S. dollars are accepted. You can make transactions easier by carrying small bills. Antigua’s sister island, Barbuda, is just a 90-minute ferry ride away from the Bryson Wharf. Explore on your own with a hired taxi, or book the ferry’s own day tour, which includes a visit to Arawak Indian caves, the Frigate Bird Sanctuary, and a lobster lunch at the beach. What do you like to do in Antigua?